The Pelco TXBIPF IP Translator Board is a network-based communication module designed for Spectra IV camera systems (excluding pressurized and surface mount models), and is used with in-ceiling models. While configuring the IP connectivity, Spectra IV camera system retains all the standard spectra features. 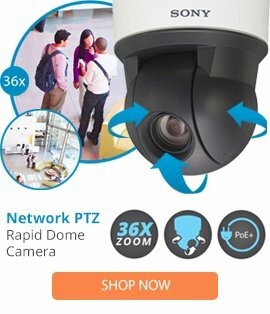 This enables you to control and monitor video over IP networks without losing analog capabilities. It supports MJPEG (15 ips) and MPEG-4 (30 ips) compression formats, compatible with most standard web browsers for seamless transmission of videos over a network. The unit also allows you to simultaneously access the camera from both an analog and IP-based control point. The unit offers bidirectional full duplex audio communication across a single Cat5e cable to communicate with the intruders or visitors from the operator's base station. Enclosed in aluminum housing, the unit has printed circuit board, and plugs into a Spectra IV back box. The camera system has open architecture connectivity for third-party software, and also includes Web and Endura connectivity features. The TXBIPF comes with an API (Application Programming Interface) for interfacing with Pelco's network camera systems.